It’s no secret there’s a small country up there called Estonia, but how much do you really know about it? Estonia got on my must-visit list around two years ago, when I saw a picture of Tallinn at one of my favorite travel blogs. I was blown away with what I viewed, the capital city seemed to be so colourful! This summer I got a chance to explore more than just the most touristic city in this Baltic state. Here are 20 reasons why you should book your airplane ticket as soon as possible. As I mentioned, this was one of the main reasons I wanted to see Tallinn. If you’re like me, enjoying to photograph cobbled streets and buildings of all colours, you’ll feel like you’re in heaven when visiting Tallinn. My camera was out all the time. Two tips though: don’t wear high heels and for the best photographs in summer months, get up early before all tourists start pouring in. As a food lover, I must point this one out. You can order a cake in almost every bar (and they are all incredibly delicions) and the food is great. If you’re travelling on low-budget, I highly recommend you Drakon, a is an old-fashioned pub in Tallinn wherein all the meals cost 1-3 units of money. It’s right next to Town Hall Tower, so located at old city centre, but unlike other places around, this one is very inexpensive. When entering, you’ll be taken into medieval times, when the soup was drank out of clay pots (and not eaten with a spoon) and electricity didn’t exist. Perfect place for rainy days, which I couldn’t avoid. I can guarantree elk soup and carrott pie are very tasty. Another amazing restaurant in Tallinn is Trofé. Their grilled salmon was one of the best dishes I have ever eaten (and I eat all the time!). I mustn’t forget to mention Must Puudel, a retro bar with a wide range of beers, dreamy ice cream (peanut ice cream with salty peanuts…) and great meals. It is super groovy, but a little hidden, so make sure to go in. Also, the staff is really friendly. However, you can’t really avoid touristic prices in Tallinn, that’s why I suggest you to visit more cities that you can easily reach using public transport or by car. In Viljandi I enjoyed Seljanka soup for 2€ (if I’m not mistaken, that would be around 6€ in Tallinn). The largest airport in Estonia is only 4km away from the city centre. It’s small compared to bigger airports (Istanbul, for example), but so very cute. Excellent facilities, comfortable seats, modern look and positive messages on toilet doors (“Lipstick will save the day!”) all helped to make it my favorite airport. They also have the coolest business card exchange there with houndreds of cards pinned to the board. A child inside me was jumping of joy when seeing this. At least 3 people could easily fit on it. Estonians are very patriotic. They’ll gladly answer any question related to their country and add more tips on where to go or what to do there. Eldery people may not speak English, but that’s not a problem at all, they’d use hands to explain. You’ll feel welcomed wherever you go. The territory of Estonia consists of a mainland and over 1500 islands and islets in the Baltic Sea, covering 45,227 km2 (17,462 sq mi) of land, which makes it easy for you to escape the most touristic places of Tallinn and see some small towns. I chose Viljandi, 2 hours 15 minutes away by train, and Haapsalu, 1 hour and 45 minutes away by bus. Both of them were truly authentic towns with small wooden houses and big forests around. Other cities you could visit are Narva, Tartu, Pärnu or if you want to go somewhere closer to Tallinn, you can take a quick trip to Jagala Waterfall – it’s only 30 minutes drive from Tallinn. A trip to Riga (Latvia) will take you 5 hours (by bus), a ferry to Helsinki (Finland) 2 hours. All public transport seems to be covered by wifi. The bridge is over 50m long. At first, it was located over the moat in Tarvastu to make it easier for the family of the lord Manor Karl von Mensenkampf to visit the chapel in the ruins. It was reconstructed in 1995. This historic square has served as a marketplace since the eleventh century and features a pharmacy that has been operating since 1422. It is always busy with tourists, but nevertheless worth visiting. The medieval buildings are very well preserved. Try to avoid restaurants and bars around. Beautiful wooden houses are especially easily seen in Viljandi and Haapsalu (most likely in several other cities too, but I haven’t visited them). Anyone want to move there with me? When wandering around Tallinn, you’ll find many unique wall signs written in English that make this city even more adorable than it already is. “The times we’ve had” and “Save the camera, honey. Enjoy the view” are two of my favorites. Did you know that Tallinn was party hosting 1980 Olympic Games? Since Moscow was not a suitable place the Olympic Yachting Centre, it was constructed in district of Pirita (the coast of Tallinn). The sailing regatta was happening from 19 to 29 July 1980. Several new building were built, e.g. Sailing Center in Pirita and hotel “Olümpia” (“Olympics”), the old town was renovated and funds were allocated to clean up the rest of the town. The mascot of the regatta, a seal named Vigri, was fairly popular with the crowds. There are so many beautiful churches and each of them has their own story. I was most impressed (only from the outside though, couldn’t enter it) by Pauluse (St. Paul’s) Church in Viljandi. 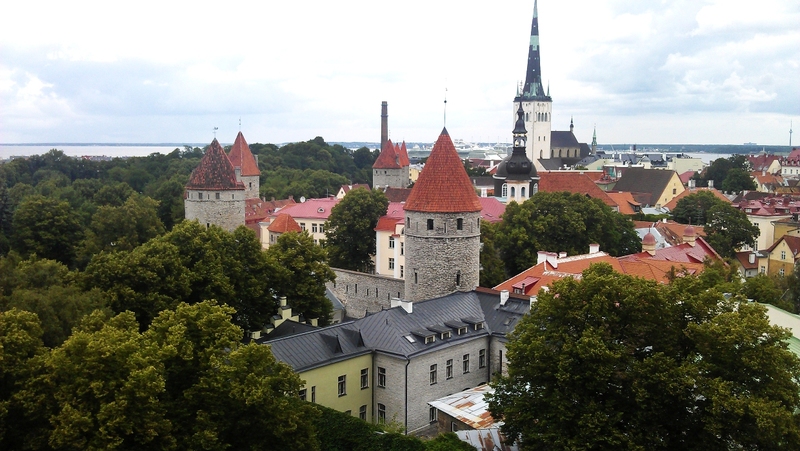 If you’re in Tallinn, make sure to climb (258 stairs) on St. Olaf’s Church; it offers the best view of Tallinn. Believe it or not, forests and woodlands cover almost half of the Estonian territory. There was at least one big garden and a park in every city I visited. Viljandi is known for being a city of white roses, in midsummer there are 720 white roses flowering in front of the city hall, planted for the town’s anniversary in 2003. Cleary nature means a lot to Estonians and they work hard to protect it. 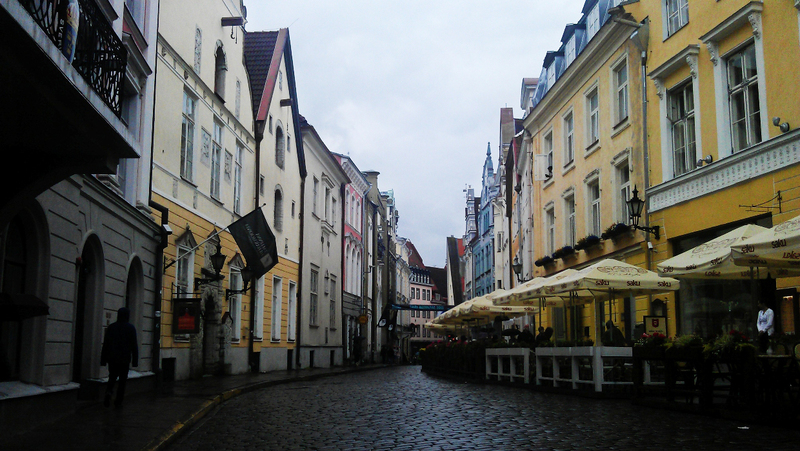 Tallin’s old town has so many small streets that are hidden away from crowds. You don’t even need a map to explore, just walk around, it’s impossible to get lost. When I was there, it was max 22 degrees Celsius so I wouldn’t really say there was the need to cool down in water, but lake Viljandi would be ideal for that. Many students and families were enjoying their free time there, swimming or sun-bathing. There’s also a the trail that goes around the lake. It’ll take hikers to the observation platform on the other shore, where you will see a charming and unique silhouette of the town. 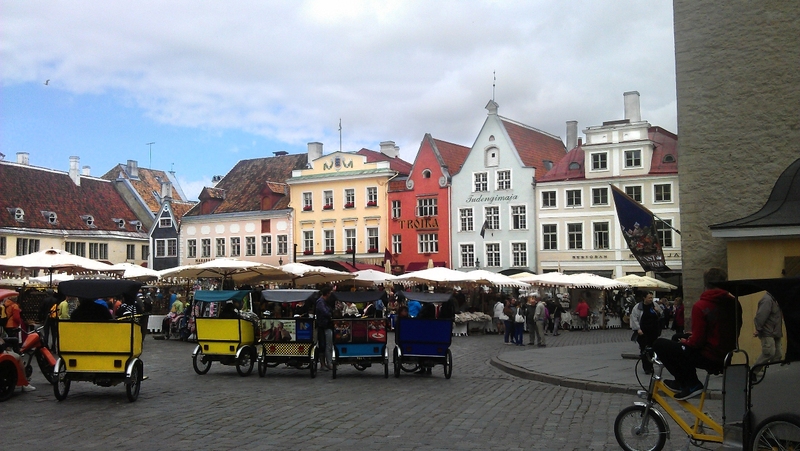 Tallinn is often refered to as a modern city with a medieval touch. Unlike other any capital city in Europe, Tallinn has managed to wholly preserve its structure of medieval and Hanseatic origin. Here you’ll find original cobblestone streets dotted with medieval churches and grandiose merchant houses, barns and warehouses some of which date back as far as the 11th century. Whether you want to swim or just take a walk, you must visit Estonian seaside because it’s beautiful. If you want to swim, you should visit Parnu and its beautiful sandy beaches. My preference was Haapsalu, a quiet town with many romantic wooden houses. Take a walk and enjoy a delicious cake in one of the bars after. A nice way to see more of Estonian culture is by stopping by Viljandi’s Folk Music Festival. It’s one of the biggest in the Baltics and very well visited. This year it was happening from 23 to 26 July. For the city of its size, Tallinn has a suspiciously high number of bars and nightclubs. The best part is that there is no way you can’t find something for yourself here, there’s so much diversity and if you don’t like techno music, you can head to jazz club or listen to folk music elsewhere. A famous shot Tallinners may you force you to drink is called The Jellyfish. You can get Millimallikas in one place, the legendary Valli bar. I’m not going to talk more about it, check it out yourself. Also, try Tallinn’s pub crawl. A great way to meet more people and experience many different bars. But beaware: In Estonia is illegal to buy alcohol (in shops) from 10pm to 10am. Shops, restaurant and bars have their window painted with funny sentences like, “People who love to eat are always the best people.” (Thank you!) or “You’re only one meal away from a having a good day.” Smart way to attrack more clients. If you have more questions or want some tips, feel free to comment bellow. Now … Get your airplane tickets! No time now? Pin it for later.